Georgia State University. She has been a CPA since 1991. Diana is a QuickBooks expert, writing articles on the use and tricks around QuickBooks and teaching clients and in classrooms. Diana is a member of PowerCore, a referral organization in Atlanta. She coaches, serves as an Orientation Panelist and has held leadership positions on her team. Diana is engaged to Scott and has three children, who she is most proud of, Austin, William and Travis. Her four legged darlings are Nellie the Jack Russell that you will find in the office most days, Gracie the Terrier that live with Travis now and Mako who keeps William company. And don't forget Flash the Cat! Austin was Scott's son first and he is engaged to Johanna. They live in Memphis but visit often. William is a graduate of the University of Georgia with a Masters degree in Accounting and is an Eagle Scout. He is a CPA with a Big 4 Accounting Firm. Travis is graduate of Georgia Tech with a degree in Physics. He teaches at a private school in Nashville, TN, and is also an Eagle Scout. He is the proverbial gadet guru and his restoration of his grandfather's Corvette is an epic story. When not watching college football on the weekends, Diana might be found digging in the garden, whittling Christmas decorations, brewing a keg of homemade beer, trying a new recipe, skiing the slopes, or fishing in the Atlantic. Teresa resides in Roswell. Her undergraduate degree is from Winthrop University and she holds a Masters degree in Taxation from the University of South Carolina. She has been a CPA since 1996. She and her husband, Rick, have two amazingly talented children, Emily and Ross and a loveable dog, Luna. Emily is VP of her high school drama club and president of her church youth choir. Ross is a Boy Scout working on his Eagle Scout Rank and a member of his high schoool Fencing Team. Teresa is an active member of Roswell Presbyterian Church. She loves chaperoing church youth group trips, a good rafting adventure, traveling to new places, outdoor concerts and you'll find her cheering on the Gamecocks whenever they play. Steve lives in Decatur. Steve has been a CPA since 1990. He is married to Susan and has two grown children. He is never far from his kayak and is happiest when he is outdoors. Andrea lives in Suwanee with her husband, Doug and her children: Caroline, Landon and Max, a golden retriever who greets visitors with stuffed dinosaur toys. 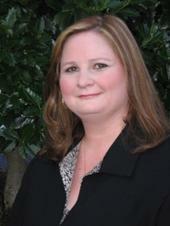 Andrea is a CPA, Certified Fraud Examiner and Certified Information Systems Auditor. Caroline is a budding photographer and Landon loves Legos. Andrea is on the Children’s Healthcare of Atlanta Family Advisory Council, and volunteers with the Turner Syndrome Society. She loves the fast pace of family vacations to Walt Disney World or a quiet corner with a good book. Michelle lives in Monroe and has two grown children and Chase who is a vivacious 8 year old. She also has a very active dog, Daisy. She is a Bookkeeper and has worked in corporate accounting for many years. watching Chase at a sporting event. She is very involved with her church and spends time with her older kids when they are home. Duby lives in Lilburn and is from El Salvador. She speaks fluent Spanish as well as English. She has worked in the customer service field for many years and looks forward to greeting you when you call. She is the Office Manager and the foundation of our support staff. She enjoys trips back to El Salvador and visiting relatives in New York. Rylee is a bookkeeper and the oldest of Michelle Roberts' children. She lives in Commerce with her husband Brandon and their two dogs, Zeus and Apollo. She can usually be found spending quality time with her family or curled up on the coach with a good book or watching her favorite television shows. start her career in Accounting!